The original stimulus which started KENNETH SPENCER on a study of the Agro- myzid flies was an invitation, which he accepted, to translate from the German the monograph on Leaf Miners by Professor E. M. HERING. From this developed nearly 20 years of collaboration until Professor HERING's death in 1967. Dr. SPENCER has himself described over 600 new species in the family, many of which he collected and reared from known host plants during his extensive travels to all the five main continents. Largely as a result of his work, the number of species known in Britain has increased from 90 in 1945 to 313 today. 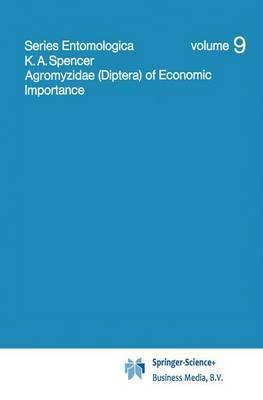 He is thus uniquely qualified to write this book about the hundred and fifty or so species which are regularly associated with cultivated plants. Much of the taxonomic detail provided here will be of value primarily to specialists; but with the help of a microscope and the botanical host list (Chapter 2) and the numerous illustrations (mostly prepared by ANN SPENCER) those in agri- cultural institutes and elsewhere should now be able to identify the majority of species found attacking crops in any part of the world.